What a visual feast this trip was. After a week at Burning Man, I joined my wife in Las Vegas for Photoshop World. We explored the strip and spent about 4 hours walking around taking photos. 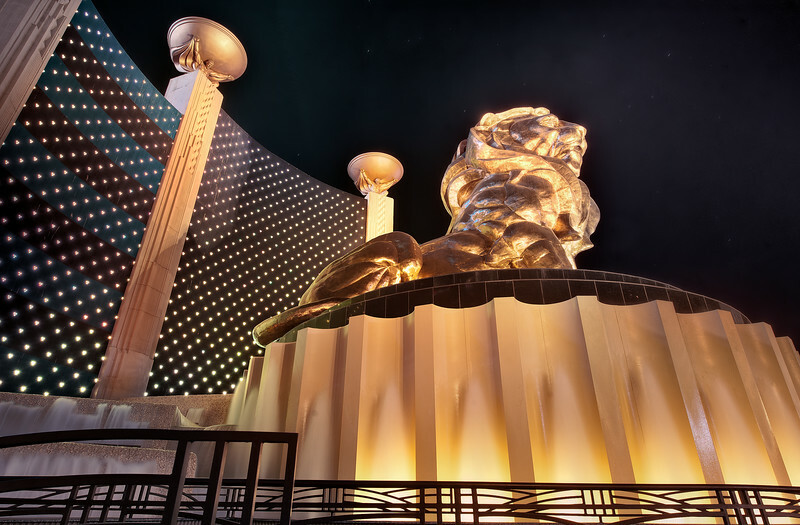 This one is of the massive golden lion that sits outside the MGM Grand. Las Vegas is so over the top in architecture, it’s hard to take a bad photo. Everything is lit up and really visually stimulating. I can’t wait to go back and explore some more!